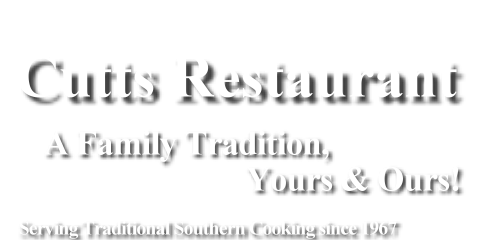 If you are craving authentic southern cooking, visit Cutts Restaurant in the Enterprise, AL area!! 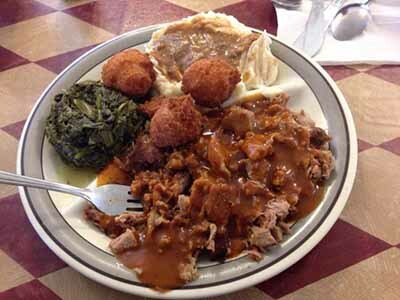 Our family restaurant offers a complete range of your favorite southern dishes. 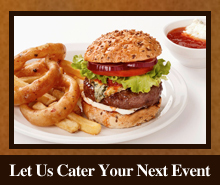 With 30 years of experience, all our menu items are also available for catering. 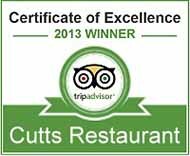 Cutts Restaurant guarantees a delightful dining experience for your family and friends! 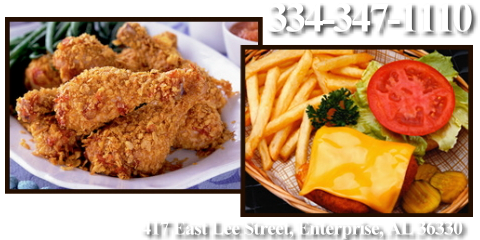 View our full menu for more southern cooking specialties. All items and prices are subject to change. 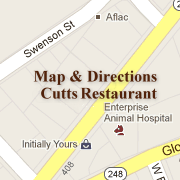 Contact Cutts Restaurant today at 334-347-1110 for call-ins. Just call ahead. We will have your order waiting for you! Cutts Restaurant started out as Cutts Grocery back in March 1967, in Level Plains (pictured above). 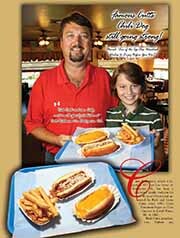 Hubert and Pearlie Bell Cutts, with their children, Larry and Lou Ellen, bought a full line country store with meat market, gas pumps, groceries and even a barber shop, There weren't many places to eat so the Cutts invented the now famous Cutts Chili Dog, thus beginning Cutts Restaurant. 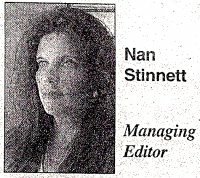 Have you ever read one of those fancy-smancy food critic's articles critiquing a restaurant? I read those and sometimes can't even pronounce some of the food they are talking about mush less think about eating it. Well, I have a system that is better than any of theirs. There is one quick way for me to tell if a restaurant is good or not.